The win helped the Vietnamese side move a step close to a place in the quarter-finals. Do Thi Nguyen’s hat-trick was the highlight of the seven goals scored by Vietnamese girls during the match. Earlier, Vietnam beat Chinese Taipei 1-0. They will next face Malaysia on May 6. 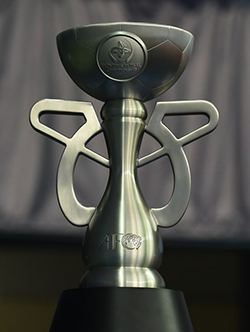 Group B of the second AFC Women’s Futsal Championship comprises Vietnam, Malaysia, Bangladesh and Chinese Taipei. The tournament is underway in Bangkok from May 2 to May 12. Reigning champions Iran is in Group D with Uzbekistan and Turkmenistan. Thailand who finished third in the 2015 championship and host this year’s event face Hong Kong, Indonesia and Macao in Group A.
Japan, the runners-up, are playing China, Bahrain and Lebanon in Group C.
BAHRAIN suffered a crushing 0-13 loss to Japan yesterday in their second Group ‘C’ match in the Asian Football Confederation (AFC) Women’s Futsal Championship in Bangkok. It was as second defeat for the Bahrainis who had earlier lost to China 2-5 in their opening game. With yesterday’s second defeat, the Bahrainis are out of contention for a berth in the semi-finals thought they have one more group game in hand – tomorrow against Lebanon, who were also remained after losing to China 0-6 last night. “As we’ve mentioned before, Japan are one of the top teams in Asia and our squad really benefited from the experience of playing against such a quality team,” Bahrain head coach Elrashed Bukhari Ahmed said. Japan fired five goals in the first-half alone, and Eri Wakabayshi and Anna Amishiro finished the game with hat-tricks. With this victory Japan secured their spot in the quarter-finals.